When it comes to online ads, you have plenty of different choices to make. You can choose to use Google’s AdWords network. You can join Yahoo’s ad network. You might opt for a smaller network as well – the sky’s the limit here. However, no matter what network you opt to join, you’ll need to make sure you’re comfortable with their payment model. 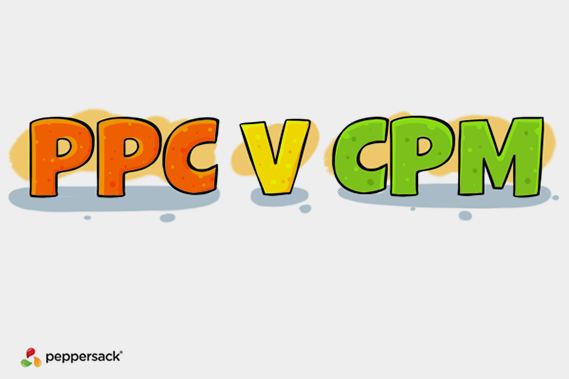 You’ll find a couple in use, including PPC (which is the same as CPC) and CPM, which is very different. Whether you call it pay-per-click or cost-per-click, the result is the same. You have to pay every time someone clicks through your ad. This is where a lot of new advertisers get into trouble. They bid too high on their keywords, and wind up blowing through their entire budget in a very short time. While that might result in a brief traffic spike, it’s not going to last long (if your budget is exhausted, the network won’t run your ads, which means no one is seeing your copy and no one is clicking through to your landing pages). CPM, or cost per 1,000 impressions (generally just shortened to cost per impression) is quite a bit different. You don’t pay when someone clicks through. Instead, you pay each time your ad is seen by 1,000 people (or whatever the number is with your specific plan – 1,000 is pretty common, but by no means the only model used). Note that this doesn’t necessarily mean that 1,000 people have seen your ad. It’s based on the number of times it’s served (appears on a website per unique visitor). While it might seem that although different, both methods equate to the same thing, that’s not true. Even Google admits this. The search engine giant comes right out and admits that CPM is a better fit for “businesses looking to build brand awareness”. Note that they don’t say boost sales or build profitability. Sure, brand awareness is very important, but there are other ways to do that (social media marketing, for one). The problem is that you probably aren’t interested solely in building awareness for your brand. You also want to increase sales. You need profit to keep operating. CPM might be good for a few things (more impressions, for instance), but it will hurt you when it comes to click through rate and click volume. That means you actually see fewer visitors from your ad. Eventually, it may also cost you more, but there are too many metrics to make that true across the board. Really, only you can determine which is right for you. In a perfect world, you’d use a mixture of both PPC and CPM advertising so you could benefit from better brand awareness and traffic to your landing pages. Don’t forget about social network advertising, either – it can deliver quite the punch when used correctly, and provide a dramatic supplement to your ad network.